Employers cannot retaliate against pregnant workers who request reasonable accommodations. These protections address some common problems that pregnant workers face. For example, pregnant women have been denied the reasonable accommodation of more frequent restroom breaks. The reasonable accommodation provision of Connecticut’s new law should, in most cases, entitle pregnant women to the reasonable accommodation of more frequent restroom breaks. Some employers have forced pregnant women who work in physically demanding jobs to go on light duty or take medical leave before their pregnancies render them unable to perform the physically demanding aspects of their jobs. Connecticut’s new law should give these pregnant women the freedom to continue working if they are capable of doing so. Maine has laws that also protect pregnant workers although Maine’s law is a bit different than Connecticut’s new law. 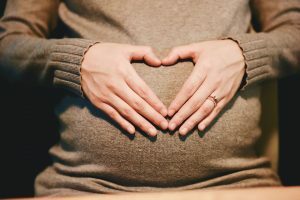 The Maine Human Rights Act focuses on ensuring that pregnant workers are not treated less favorably than non-pregnant workers. Thus, for example, workers with pregnancy related disabilities or illnesses must receive the same treatment from employers as non-pregnant workers with disabilities or illnesses. If you’re pregnant and your employer is not accommodating you, contact an experienced employment lawyer to learn more about your rights. The Maine Employee Rights Group has experience representing pregnant workers and, if you work in Maine, we may be able to help you.